Of all the cutting-edge technological forms of electronic correspondence in the modern era, few areas well-established or as long-lived as the email. In spite of its age in a time when “newer is better,” the email continues to hold onto its position as a commonly used form of communication. For example, in recent years, as many as 92 percent of online adults used email to send and receive transmissions. This widespread popularity holds just as true for email marketing as it does for anything else. However, just because emails continue to dominate as an arm of most B2B and B2C marketing strategies doesn’t mean emails have been used in the same exact ways over the years. 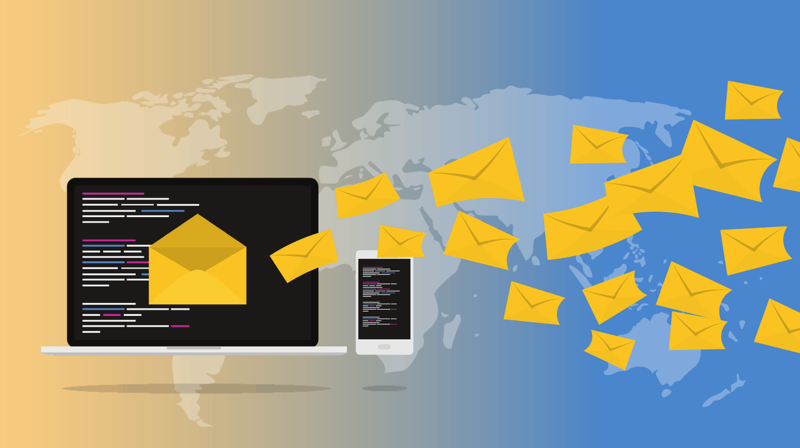 As time has progressed, the way that we send emails has evolved along with it, making it a critical responsibility for small businesses and larger corporations alike to keep their email marketing acumen honed in order to keep up with contemporary practices. Let’s break down some of the common goals of marketing for small businesses, and take a brief look at how the landscape is changing in 2019. It’s important for small business owners to understand that, in many ways, emails have leveled the playing field. In email form, a small business can look the same as a Fortune 500 company. That’s why even the smallest mom and pop shop on the corner should make an invested effort to form creative email campaigns with care, considering both functionality and presentation within their email designs. Take the time to craft compelling stories, carefully choose every word in your headlines and summary texts, and don’t undersell yourself. In other words, don’t thoughtlessly slap something together and assume that your lack of professionalism be forgiven because you’re a small business. Remember, a key goal to good email marketing is to foster a relationship with each client. It’s rarely a one-and-done scenario. On the contrary, you want to treat each email as a step in the larger journey of building trust and loyalty with your customers. Poorly crafted emails can do more harm than good. Regardless of the size of your business, you want to take the time to wow your clients with your emails. Another factor that should be kept in mind when small business owners create their email marketing strategies includes crafting their content to both represent their own brand and demonstrate their expert knowledge in their field. This should be aimed at setting you apart as a uniquely valuable source to your audience. Establishing yourself as an authority in your field also opens the doors for a better reception when you do promote your own products or services. Finally, remember to purposefully utilize both marketing emails and transactional emails within your strategy. The former is critical to your larger marketing efforts, as it is meant to build awareness of your brand and promote your products. Transactional emails, on the other hand, are typically automated responses and confirmations that are crucial to send at the right times and places — whether it be in your email funnels, order confirmations, or any other one-on-one interaction with customers. When balancing these two email approaches it’s important that you don’t saturate your list with white noise marketing, while simultaneously making sure that your clients get every confirmation, invoice, and follow up they require in a timely and professional manner. You can read more about the difference between marketing and transactional emails here. While many of the strategies for a good email marketing campaign have remained the same over the years, areas like data harvesting and the content itself tend to change over time. Here are a few of the top email trends taking place in 2019. Videos have been quickly growing in popularity in recent years. With this trend booming — having already consumed social media and sites like Youtube — it should come as no surprise that visual inboxes are quickly becoming more common. Integrating videos into your email marketing strategy is going to be a critical element going forward. In 2019 the concept of quality content has made a resurgence online, including emails. From hyper-personalization to a laser-focus on nurturing relationships, it’s critical that emails have a more personal, less automated feel to their content if you want your readers to get further than the opening line. Loyalty Programs aren’t anything new, but their use is expanding. For marketers, in particular, loyalty programs offer the opportunity to track customer behavior and understand what makes clients tick, where their interests lie, and what they choose to purchase. As the focus on quality continues to rise, expect an increase in “elite customer clubs” to go up as well, as marketers attempt to gather meaningful data to help them make decisions. There’s no reason that small businesses in the modern day shouldn’t be taking full advantage of every aspect of email marketing. A wisely used email list provides a diverse toolkit that can help with everything from sales leads to reservations and confirmations to harvesting business data. No matter what your particular needs at any given moment, integrating emails into your marketing campaign should always be a priority. Why using clean email lists will save your email marketing budget? We are always looking for fresh talent to contribute to our blog. If you have a knack for writing and a passion for email marketing, we would love to have your post on our Guest Blog .